Unparalleled expertise, undivided attention, and a state-of-the-art facility are just some of the reasons to make Exceptional Dentistry your dental care provider of choice. We pride ourselves on providing a high caliber experience with exceptional service and a high standard of care. In fact, our doctors are often called the ‘plastic surgeons of dentistry’ because of their advanced qualifications and artful approach to creating perfect smiles. With an average wait time of only 37 seconds, you can look forward to attentive and personalized care every step of the way. 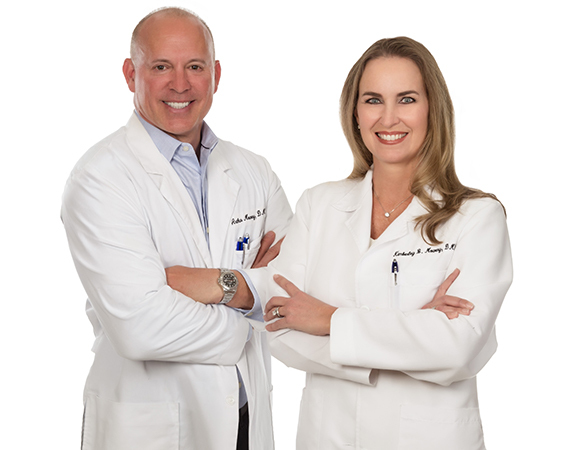 If you’re looking for a general, cosmetic, or restorative dentist in Gainesville, FL, turn to Dr. Art, Dr. Kim Mowery and Dr, Sean Williams at Exceptional Dentistry for comprehensive dental care all in one roof. Dr. Art has been in practice for more than 22 years and has served as a clinical adjunct professor at the University of Florida. He has also previously served as a clinical instructor at the Las Vegas Institute for Advanced Dental Studies for more than ten years. Dr. Mowery is a published author and international speaker on the subject of cosmetic and reconstructive dentistry. Dr. Art is Board Certified in IV Sedation and, as a result, we are one of the few offices in North Florida to offer both IV and oral sedation. Dr. Art is a member of major dental organizations, including the Florida Dental Association, International Team of Implantology (ITI), and the American Academy of Cosmetic Dentistry (AACD). Dr. Kim Mowery has been in practice for more than 17 years and Dr. Kim has a special interest in cosmetic dentistry as well as gum and tissue grafting. She has been a guest lecturer at the Las Vegas Institute for Advance Dental Studies and is certified in IV sedation. Dr. Kim is also a member of major dental organizations, including the Florida Dental Association, International Team of Implantology (ITI), and the American Academy of Cosmetic Dentistry (AACD). "Best dentist in Gainesville, Florida. Dr. Mowery and his staff are truly Exceptional! They listen to your concerns and provide amazing results. They treat you like a person and not just another patient. Furthermore, Dr. Mowery and his staff are trained in multiple areas of dentistry and cosmetic improvement. For general cleanings to dental reconstructive surgery, cosmetic improvements, and repair… they can do it all." "If you need a dentist... go see Dr. Mowery and the team at Exceptional Dentistry. Had major work done this week and they were so patient and kind to me. They let me cry and worked with me to have a solution for what was needed. Michelle held my hand and talked me through what to expect and never made me feel silly or inferior. I still am terrified of dentists...but this group lessens the fears. You must go see them if you need dental work!?" We can replace one or more missing teeth with BioHorizons dental implants, the gold standard of implant dentistry. Our doctors have advanced training and expertise in dental implant placement and restorations so they can rebuild your perfect smile. A convenient solution for denture wearers and patients missing several teeth or an entire arch, this innovative system involves placing a set of dental implants around the mouth and attaching dentures to the implants for instant results. In addition to providing a full range of dentistry services, the Mowery family is proud to serve the Gainesville, FL, community with several volunteer projects and support for charitable organizations. They actively support the Ronald McDonald House and Sister Hazel’s Lyrics for Life projects, along with other community service projects. The Mowery family founded the Give Back a Smile program in Florida, an organization that assists abuse survivors in repairing dental and facial trauma that occurred from abuse. 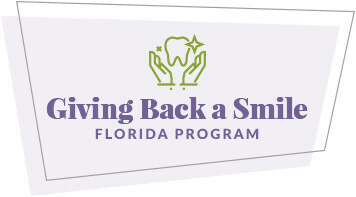 Between 2013 and 2016, the Give Back a Smile Florida program provided over $225,000 in complimentary dental care. Exceptional Dentistry offers Lending Club and LendingUSA, and we additionally accept and file benefits on behalf of all PPOs. No insurance or need help financing your restorative or cosmetic treatments? Ask our team about 0% interest financing through CareCredit. Giving Back a Smile Florida Program is a non-profit initiative started by the Mowery family with one simple goal: help everyone smile, no matter their personal situation. The program specifically helps battered women victims achieve a new smile and renewed self-esteem.